Separating your status effects into different types allows you to separate them in HUDs displaying them, and you can make status effect changes for a whole type, e.g. removing all negative effects from a combatant. We’ll separate the status effects of the game tutorials into Posivite and Negative effect types and change the Cure Potion to remove all negative effects based on type instead of adding all status effects individually. First, we’ll create the status effect types – open the ORK Framework editor and navigate to Status > Status Effect Types. We’ll need two status effect types in total. This will be the status effect type for all negative effects, e.g. Poison or Blind. This will the type for all positive effects, e.g. Strengthen or Speed Up. That’s it for the types, not much to do here. Now we’ll assign the types to the status effects, navigate to Status > Status Effects and change the following settings. That’s it for the status effects. We’re changing the Cure Potion to remove a status effect type instead of the individual status effects. That way we don’t have to update the item later when we add new status effects or change existing effects. 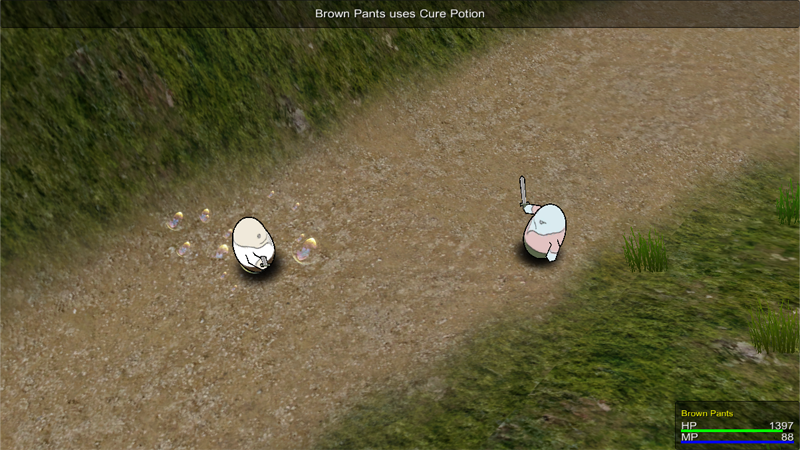 Navigate to Inventory > Items, select the Cure Potion and change the following settings. Remove all Status Effect Casts first. Now, click on Add Status Effect to add a new effect cast. Don’t forget you can also use this to add all status effects of a status effect type, e.g. for a devastating attack that adds all Negative effects to the target.